If you choose to take the old Goldfields Road from Kellerberrin to Doodlakine, you cross Mission Road. The name is a reflection of changes wrought by the coming of the Europeans and Aboriginal Displacement. Reserve No 21026, Kellerberrin, was located between Kellerberrin and Doodlakine on what is now Mission Road. Known as Jureen, it had always been a traditional Aboriginal camping site and a meeting place for peoples from different regions. When it was formally established as an Aboriginal Reserve in 1933, traditional rights to camp there were made subject to government control. 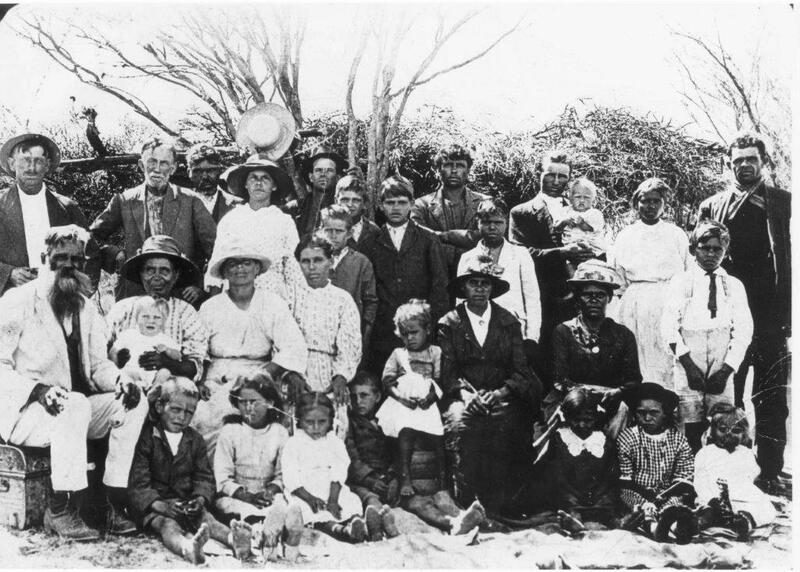 In 1939 the Melbourne based interdenominational United Aborigines Mission established the Jureen Mission on the other side of Mission Road, on land owned by the Leake family. It was initially staffed by two women missionaries and consisted of a small timber framed cottage with hessian walls in which they lived, a combined church/school, and a laundry area with tea tree walls and roof. The missionaries conducted church services and Sunday School for the families living on the reserve opposite. They also provided clothing and food which had been donated by supporters of the Mission. For about two years they conducted a school for Aboriginal children. Even after a government teacher was appointed the missionaries continued to conduct a night school, predominantly for young men who wanted to learn how to read and write. Later, dormitories were constructed for the children of parents forced to find work far from the reserve. M Rowley (nee Langley). Jureen Mission. At any one time there were about 100 people living on Jureen Reserve. Originally the only facility provided was a single water tap at the north-east corner of the 100 acre reserve. Toilets and washing facilities were not erected until after 1945. While some families lived in small houses, others lived in humpies scattered across the reserve. In the mid-1960s most Aboriginal families moved off the reserve and into town housing at Kellerberrin. Jureen Mission closed at the same time.